You are really stylin’ girlfriend! We need some of your rain, please. It is very hot & dry here. I take my big walk by 7:30 am, then the backyard for tinkles etc, until my evening stroll. You are swell to share your treats. Your pal, Skyler B.
I hate rain too….and looks like you are about to get a ton. 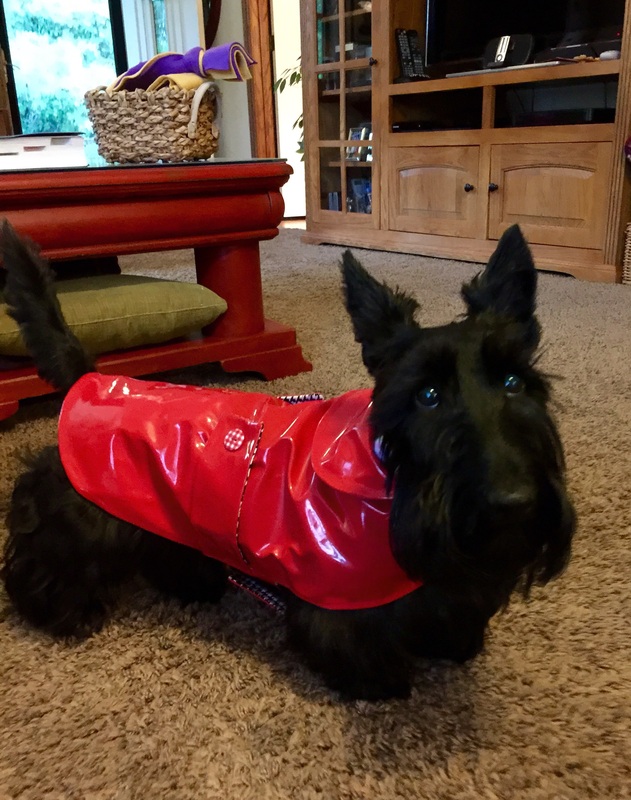 None of the Scotties would wear raincoats. I have made a few in my time and bought a few. Same results each time..
We don’t mind coat stuff. We are not fond of things around our neck. This freakin rain is keeping me from my walkies. This weekend I’m headed to Oklahoma to visit my grandpeeps, hope it stops raining. It is supposed to by Friday? Where do your grand peeps live? Oh, Lucy, you look absolutely gorgeous I red. My Maggie hated anything around her neck, too. 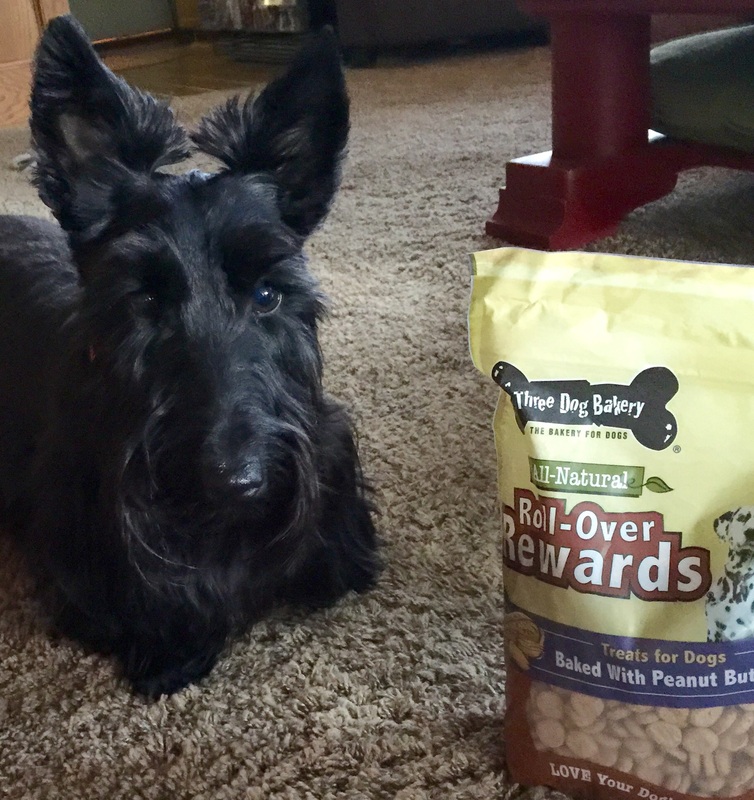 I think you will like the treats. They come from a bakery by two guys who have 3 dogs .. they used to have a show on the Food Network .. mom can look up ” Three Dog Bakery”. ENJOY & I’m proud of you for sharing with brother. Wow! You look super chic in that rain coat! I’m in Paris right now & can tell you these fashionista pups would be jealous!! Thanks. We need it today.